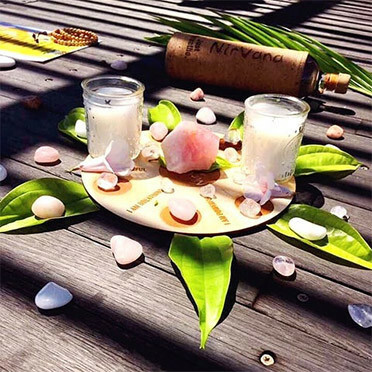 Based on years of research, Nirvana® Body & Mind system includes a number of most efficient elements that combine into the most relaxing & mindful flow of uplifting music beat, simple to follow pilates/yoga toning exercises & rhythmic breathing to detox the body & experience the blissful state of Nirvana. 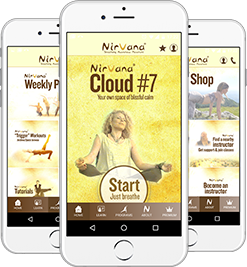 Learn about a worldwide Nirvana Instructor Network, a fast spreading community stretching well over 40 countries and recognized by all the main authorities in fitness & wellness. Nirvana focuses on the Body and Mind. With flow in movement, breathing and music you enter the state of Nirvana, the Flow state and you reach ideal health with proper oxygenation. Become a trend setter, attract more clients, be on the flow! All the tools are there for you - Nirvana is a turn-key system with unprecedented support and career progression option. 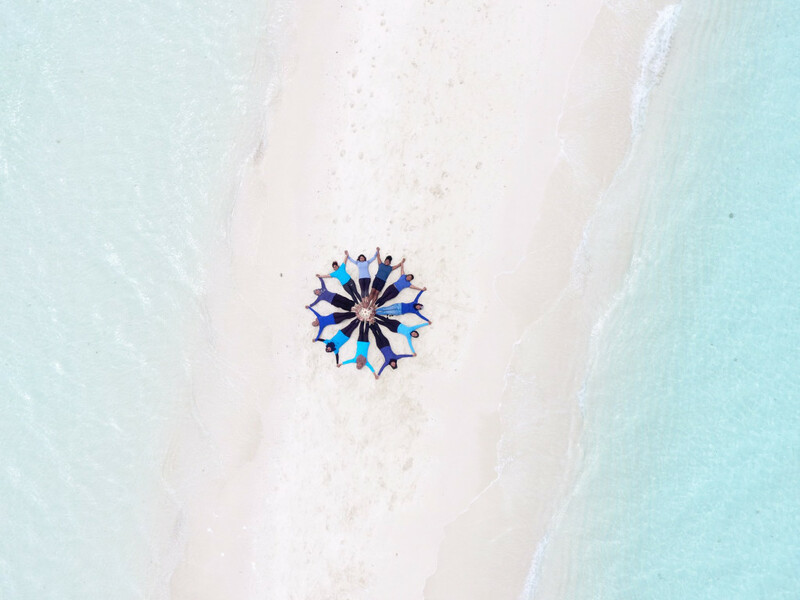 All the "active ingredients" within the Nirvana® Body & Mind system have been carefully implemented and are geared toward creating the right conditions for any participant to experience the Flow state. 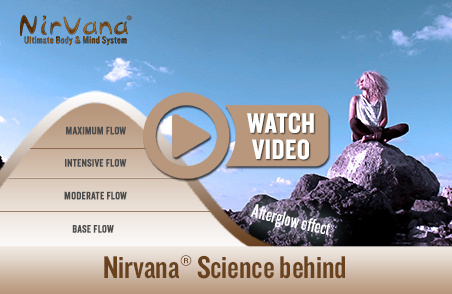 Rhythmic breathing to music with sound cues & thetawave technology to put your mind in a state of flow. A super effective blend of pilates toning & yoga stretching exercises to tone up, strengthen, stretch & detox your whole body. are geared toward creating the right conditions for any participant to experience the Flow state. 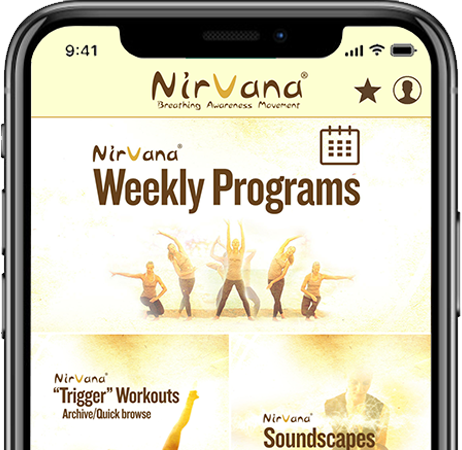 Nirvana classes are taking place in fitness clubs, pilates studios, yoga studios, hospitals, breathing therapy institutions, mindfulness centers, senior homes, physical therapy centers, hotels, in corporate wellness, in schools and even kindergartens all over the world. Do you wish to be part of the beautiful mission of raising awareness about proper breathing and its benefits on our lives? Do you wish to be a trend setter providing a new approach to fitness that relies ob the Flow states philosophy and all the newest approaches in fitness? Then join us! 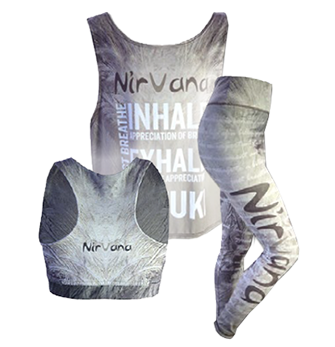 NirvanaFitness® might be what you need!" "Woohoo...we are NIN! Nirvana Fitness Instructor Certification conducted by NES Meera Nair, thank you so much for ur generous sharing of this beautiful program. This's one of the few that I truly love." "Being fit physically is just not enough. Emotional, mental and spiritual connection too plays an important role. NirvanaFitness® is one of the very few programs that includes all the 4 elements. Looking forward to seeing you at one of my Class or Instructor Course." 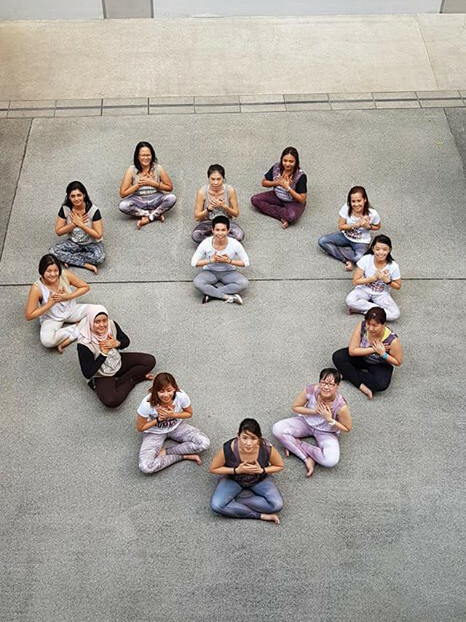 "I registered for the Nirvana Instructor training with an open mind and as soon as I joined my first master class, I was hooked. 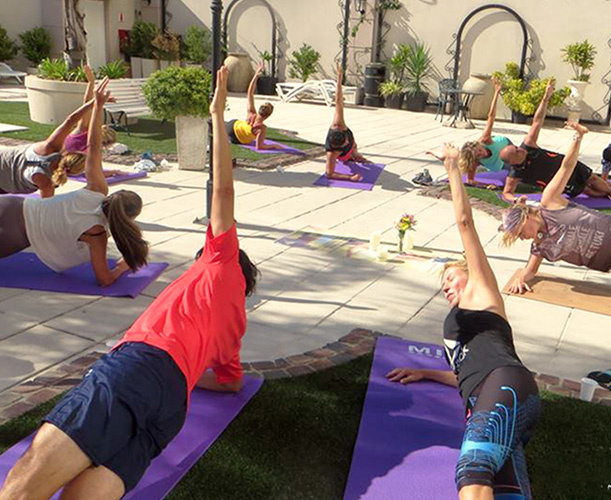 MOVEMENT and BREATH the NirvanaFitness® way was the missing link towards my goal of total wellness. Experience how our classes can enhance your LIFE." 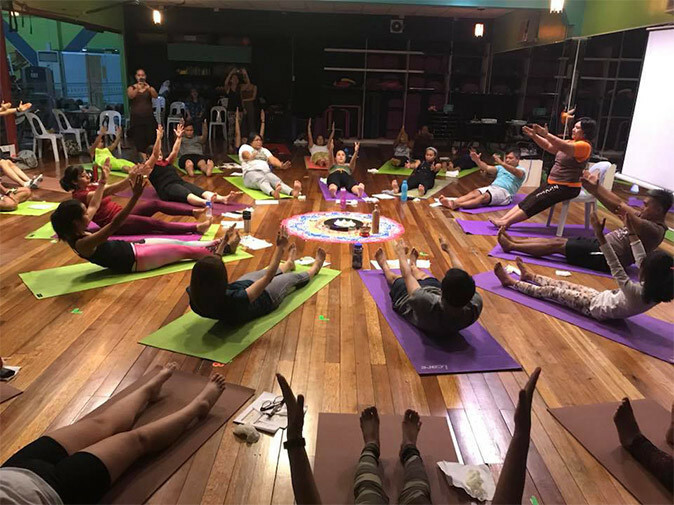 "NirvanaFitness® makes it simple for instructors to lead this mind and body class by providing music which helps them instruct the breathing patterns easily and accurately …"
"I had always love doing yoga and pilates. Glad I come across this program that suit my needs. This program teaches me the importance of correct breathing, a mind and body detox and give me a toned and flexible body through a series of yoga and pilates movements." 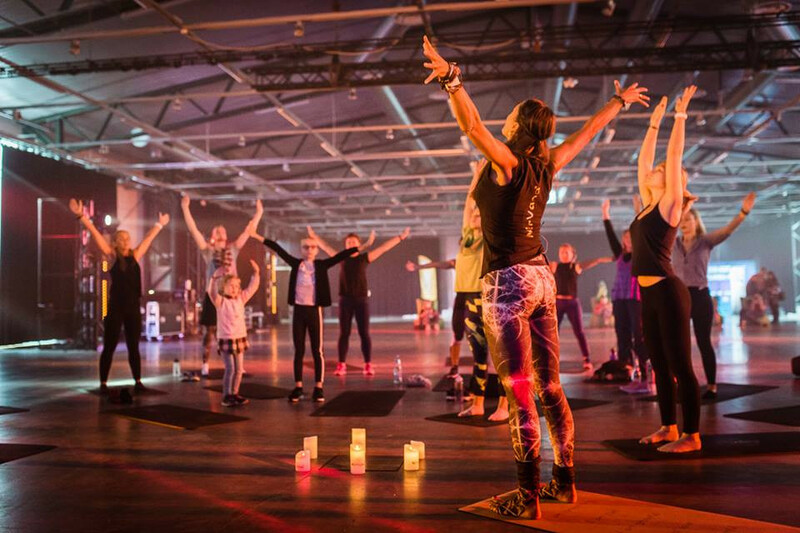 "For me, NirvanaFitness® class helps me to calm down mentally, slow down my thinking, slow down my breathing and really reach a state of happiness peace and calm that I never thought possible before." it's inspiring and takes one to a whole new level! Got to do it to experience it!" 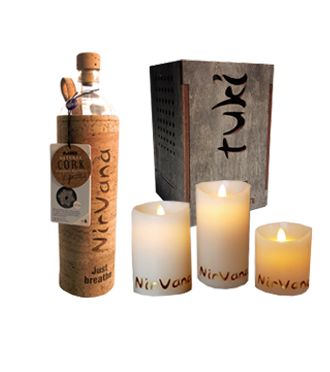 LED candles, TUKI light and a Nirvana bottle - you simply cannot do Nirvana without them! 7 unique collections, each one representing a Nirvana intention. Feel what you wear! Make Nirvana your lifestyle not just a class. from anywhere with our App. Cookie _ga: It's being used for monitoring the website's activity and providing a better user experience.